With Q4 of the year approaching, how has your business been doing so far this year? If you run a more holiday centric, seasonal business you’ve been planning all year for the months coming up. If your business is year around you should be planning and strageizing on how to take advantage of the back to school season and upcoming holidays. Either way, it’s time to start assessing your business and determining how far off you are from the goal you set at the beginning of the year. No major updates to the platform this month, just a lot of small UI updates and internal fixes to help the platform run quicker and more stable. I will be the first to admit I felt the frustration this month when we had some pretty sketchy server performance. 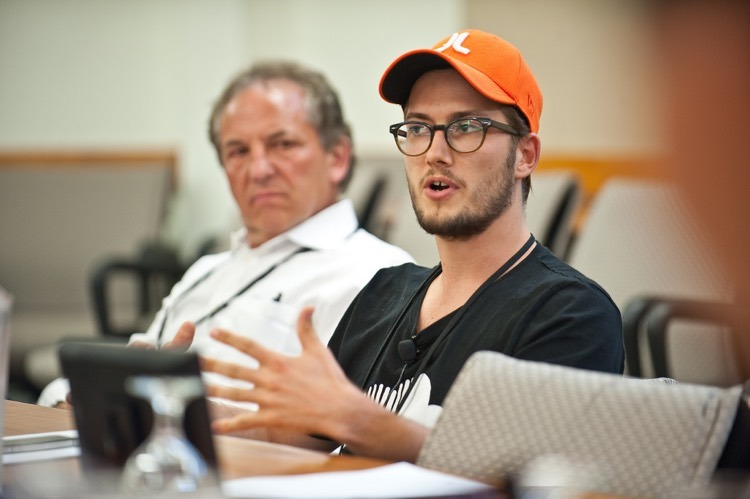 As an employee AND user of ActiveCampaign I found myself torn. I was frustrated my marketing platform isn’t performing as expected. But then I saw internally how hard the engineers were working and sympathized. Having inside knowledge and being able to personally talk to Jason and hear his plan going forward to shore things up gave me all that I needed to rest assured things would do nothing but improve. Unfortunately that’s not the case for some users. I’m always shocked at how quickly some people are willing to leave one platform for another when there are issues (I saw the same thing happen at Leadpages). However, often times these are people who are quicker to complain than they are to make any real money in their business. But, hey, that’s the nature of SAAS for you. Shifting gears a bit, I’d like to encourage you all to do is subscribe to the ActiveCampaign Podcast. It’s run by yours truly and I get to not only talk about latest tips and marketing strategies, but I have the pleasure to interview the CEOs of a lot of the software companies you use to run your marketing (plus ask them all the burning questions you’d like to know the answers to). Once you subscribe drop me a line and let me know, and also let me know if there’s a specific company you would like for me to feature on the podcast. I’m a big Learndash fan (if you don’t know, now you do ;)). Migrating from Teachable to LearnDash (plus ActiveMember360) was one of the best moves I’ve made in my business when I decided I wanted to build out a membership academy. They recently launched an integration with SamCart (conversion focused checkout pages) to make it easier to increase sales conversions for enrollment. I think this was a mutually beneficial integration since SamCart already integrates with a couple membership tools and e-learning is definitely on the rise. Now SamCart users can more easily get in the e-learning game while those struggling to sell their courses now have another tool to help. It’s important to note the price of SamCart. It’s not for those just getting started who aren’t successfully selling products. This is a tool moreso for the business owner who is currently selling and could increase sales by optimizing their checkout pages easily. I personally think ThriveCart is equally as powerful, and a LOT more inexpensive. If you’re running a membership site with a plugin like ActiveMember360 or Memberium, ThriveCart will probably be a better fit. If not, hit the link below to find out more and give SamCart a good test run. 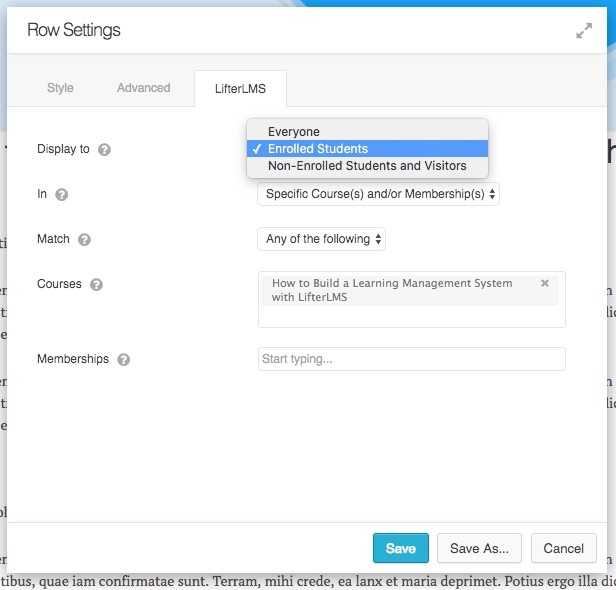 LifterLMS is another WordPress plugin that adds the ability to sell courses on your website. 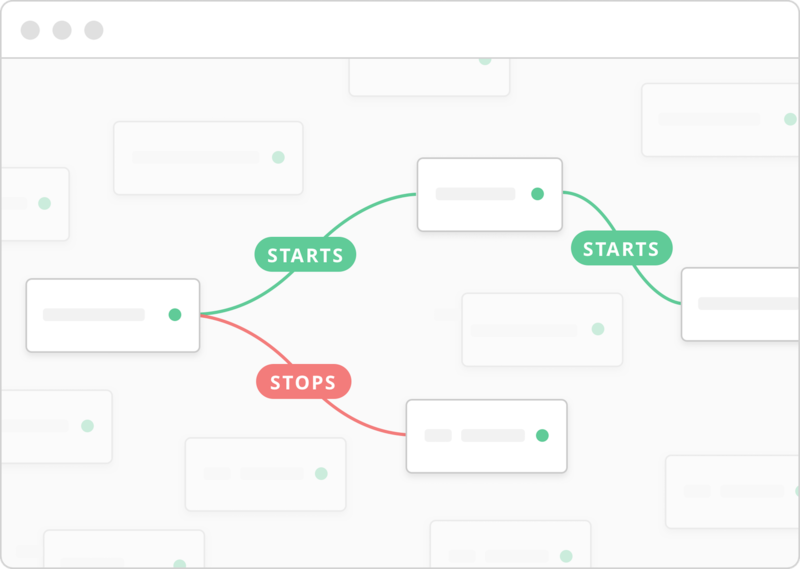 This month they launched an integration I can’t be anything but jealous about (since I use LearnDash). It’s the ability to give, and or revoke, access to rows or modules in Beaver Builder. I’ve been doing this same thing with Beaver Builder and AM360 for some time now but this integration makes it a lot easier. The reason why I’m really jealous about it is that I love dynamic web pages. Especially for membership websites. Instead of creating 5 pages you can create one page that dynamically displays content 5 different ways depending on which course you’re enrolled in. This definitely beats the shortcode approach. Especially since I never remember them which requires me to have to look them up, and copy and paste them where I want the content to be displayed. Great job LifterLMS team! Hopefully more LMS and membership platforms will catch on and follow suit to make Beaver Builder even greater. 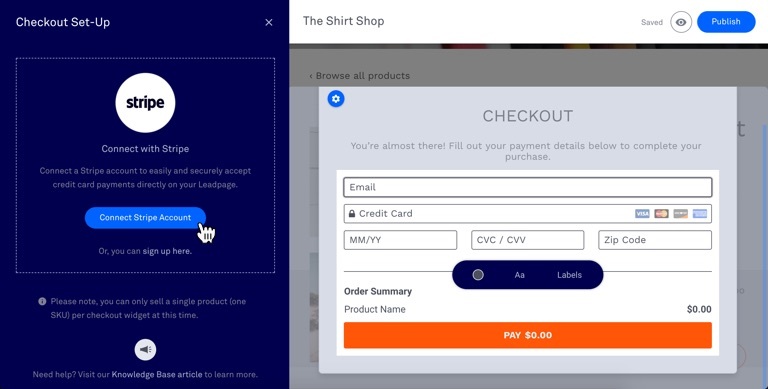 Speaking of checkout pages…Leadpages finally announced their addition of payment processing. Though they are extremely late to the party (I was petitioning for this way back when I was working there), it’s still a notable addition since it simplifies things a LOT for their users. When I tested it out I was pleasantly surprised that they kept the functionality to integrate with your autoresponder. This means you can sell products and add customers to your marketing automation platform all at once. But all is not peaches and cream. There is no sales automation. Meaning, if someone refunds there is no way to automatically remove tags or remove them from automations and/or workflows. This may be due to how it integrates with Stripe for payment processing. It creates the product in Stripe and essentially hands off all handling of the payment one-time. It’sike dropping your baby off to daycare never to return or hear how they’re doing. It’s a one way pass without any ongoing synchronization. Another thing to take into account is you must be on at least the professional plan ($79/mo.) to take advantage of this new feature. This isn’t terrible because it still puts you under the price you would pay for ClickFunnels. However, ClickFunnels gives you a lot more functionality for the extra that you do pay (like sales automation). Lastly, what’s nice about this new feature is that you can use it anywhere on a Leadpage and LeadBox aka pop up form. If you’re using this feature I’d love to know what you think about it so far. Oh…one more thing to mention. While I was learning about this feature, I realized they now offer a free trial. This is an interesting move that I believe was made to increase their user base. Could this be a sign of continued growth? Or are they struggling with standing out among tithe competition? I do have a strong opinion, and info, but I’ll save that for another time. My platform of choice when it comes to landing pages is, and has always been, Leadpages. Though not as cutting edge as they used to be I try my best to stay loyal to software even throughout their tough times. This month I was working on a new video series I’m putting together and needed some pages built quickly. Leadpages to the rescue right?! The good part is the Drag & Drop builder seems to be getting better by the month. Very easy to use and get a really good looking page up. The let down came post building when I went to publish the page. The issue I ran across is NOT specific to Leadpages at all, as I have seen this problem with other landing page software. The problem I ran into was no global settings. This meant for every page I built I had to remember to upload my favicon, add the appropriate tracking scripts, and rebuild any previous modules I built on other pages if I wanted to use the same module in the current page. I know that doesn’t seem like a lot but if you forget to add the tracking script there’s no way you will be able to properly measure your marketing across all your web assets. In addition, no being able to easily borrow elements from other pages you’ve designed just increases the time it takes to get a page up. I feel like these features should be a necessity in all landing page software for speed and consistency sake. Of course you would still need to add page specific tracking code, but that’s already there. As an experienced marketer I KNOW many users will forget to add their tracking and will pay for it later when they cannot give an accurate account for how well their marketing is performing. This is more of a growing issue because you don’t have to worry about this with Thrive Themes or any other WordPress page builder. In fact, what I ended up doing for half my pages was use Beaver Builder. It was fast, easy, and solved all the issues I had building with Leadpages. I’m actually finding myself relying less and less and landing page software and more on my WordPress page builder (especially since I use Google Analytics for all my conversion rates). Something I hope all landing page platforms take into account and implement soon. When I started the ActiveCampaign podcast and was researching where to host the file easily, SoundCloud kept coming up. I never really used SoundCloud in the past except for random audios that I found via a Google search. So you could only imagine my hesitation with starting a podcast on the platform. Nonetheless, I did it for the sake of getting something started quickly. A couple episodes in and we moved it to our own RSS feed so we could have more control. Thankfully that was all before this news broke. It’s not uncommon for young, rich CEOs to lose focus and burn money, but it’s also not wise to ignore it. Although the CEO is on the record denying such claims that the company could be facing being shut down, I don’t believe it for one minute. Where there is smoke there’s something burning. And in this case SoundCloud isn’t valuable enough for me to even attempt to give them the benefit of the doubt. If you’re using SoundCloud in a major capacity, I’d be looking for an alternative right about now. Who puts all their content on one social media platform these days anyway? If you do, you have much bigger issues to fix than SoundCloud. I can’t express how much easier my life as a marketer has become by using Beaver Builder. I build all my websites using it, and find it really easy and fun to use. They are updating the plugin and the new updates look REALLY good. I downloaded the alpha and really like how they have made the editor a lot less intrusive and intuitive. The biggest thing is autosave because now I can move a lot faster creating pages without having to worry about hitting save after I’ve finished each one. 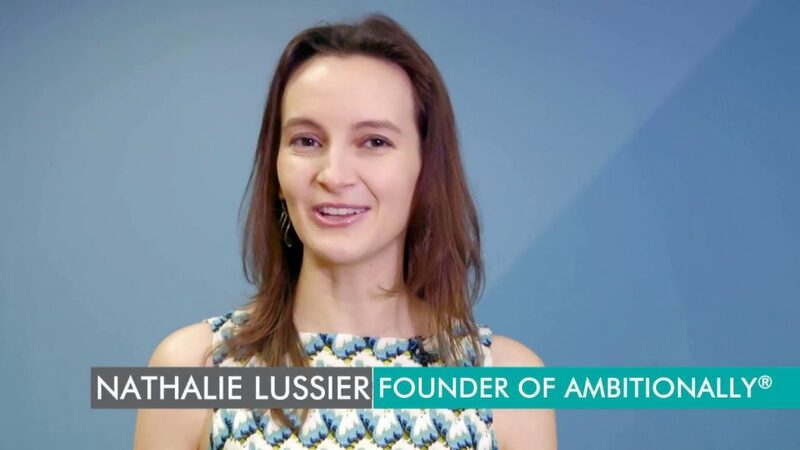 This month I had the privilege of talking with Nathalie Lussier of AmbitionAlly about her flagship product AccessAlly. The purpose of this WordPress plugin is to simplify the creation of membership sites and online course creation. She achieves this by providing all the functionality you need within the single plugin to eliminate your need of adding additional plugins (like you would need to do for many other WordPress LMS platforms). The plugin also integrates with ActiveCampaign at the tag level so you can set access restrictions based on tags on the contact record (just like ActiveMember360 or Memberium). I’m still in the early stages of playing with the plugin but so far I like how they have simplified the process without sacrificing the power and flexibility provide with a tight integration with ActiveCampaign. If you’re currently using this platform I would love to hear your thoughts and experience with it thus far below in the comments. 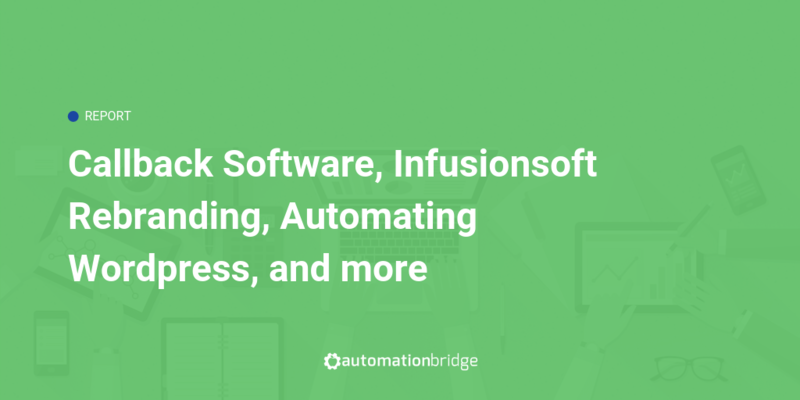 Any other major moves in marketing automation that I missed this month? Let me know in the comments below.